While The Hunger Games is captivating audiences and readers with its storyline about teenagers forced to partake in a deadly competition, the concept of futuristic blood sports isn’t anything new. There are a few other films and books that dealt with a sport where the prize for winning was life itself. 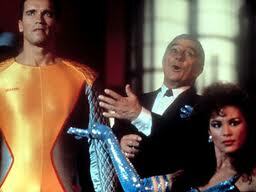 One of the more famous examples is The Running Man. Written by Richard Bachman (actually Stephen King using a pseudonym) and later adapted into a film starring Arnold Schwarzenegger, the game took place in a dystopian U.S. and is a show broadcast in the Games Network. The game contestant is forced to evade hunters. The longer the player stays alive the more money is earned. There was another well-known deadly game book also written by Bachman called The Long Walk, where teenage boys participate in a national marathon. The contest begins with one hundred contestants who have to walk nonstop. Anyone who stops or stumbles is killed by nearby soldiers. The winner, who is actually the last boy still walking, not only wins life but any prize he desires. Two films from the ’70s that featured violent competitive sports were Death Race 2000 and Rollerball. 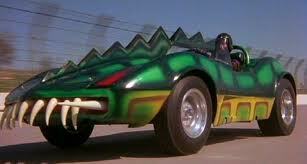 In Death Race 2000 the U.S. has been replaced by the United Provinces (sound familiar?) and brutal gladiatorial games are used to mollify the masses. One of the most popular games is the Annual Transcontinental Road Race, a.k.a. the Death Race. A twist to the road race is that points are earned by killing pedestrians. The idea of deadly car races has been utilized in many video games. Some examples include Roadwar 2000 and Carmageddon. 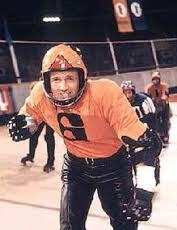 Rollerball takes place in a future world overtly controlled by corporations and war is banned. In its place the competition of Rollerball is used. Part roller derby, part football, it’s a vicious combat sport where players bash opposing teams with spiked gloves as they try to gain possession of a metallic ball and score points. While both films are cult classics they were drearily remade not too long ago. Fortunately those remakes have been all but forgotten while the originals’ legacies endures. Part of Rollerball’s popularity is the violent, close-quarter nature of the sport, which correlates with the popularity of football. A couple of sci-fi books have extrapolated on football’s evolution. In Killerball by Gary K. Wolf, football has turned into a vicious combat sport using martial arts and weapons. Meanwhile, football is still enjoyed hundreds of years from now in The Rookie (Part of the Galactic Football League book series) by Scott Sigler and is played by aliens and humans. But football isn’t the final word on violent sports. Just look at hockey, rugby, boxing and other combative games. In a little-known film that deserves more attention called The Blood Of Heroes one of the only forms of entertainment in a post-apocalyptic wasteland is a sport known as The Game. In it armored teams try to score points at goalposts with a dog skull. One of the objectives by individual players is to get recognized for their skills and be rewarded with a luxurious lifestyle. In our future there may be a movement to use surrogates in combat sports for safety reasons. 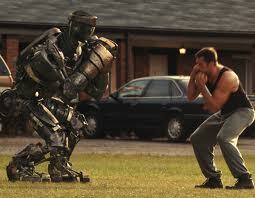 The most recent example seen of this in the movies was Real Steel, where huge robots are used in boxing matches. It should be noted that the popular film was a remake of a Twilight Zone episode written by Richard Matheson, based on his short story. A more obscure example is the film Robot Jox. In this scenario, humans from opposing countries get into gigantic robots and battle each other. What is interesting to note with these films is that even though humans have been removed from the equation, the games still have spirit and heart, which makes them endearing to watch. 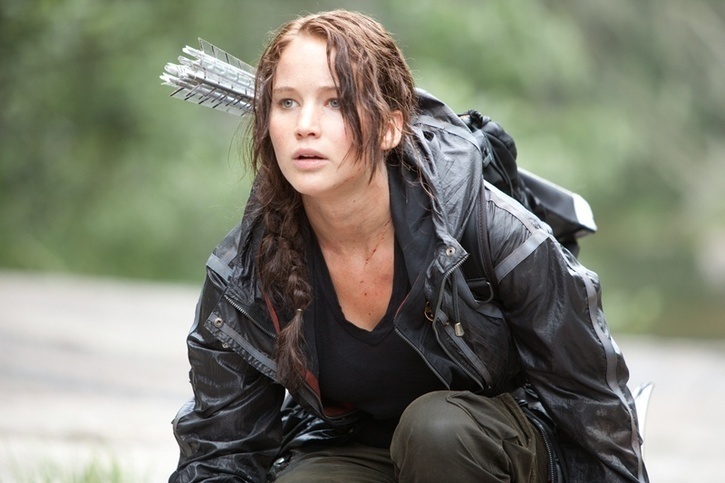 Before The Hunger Games came along there was another book and film dealing with teenagers forced to fight each other. That property is Battle Royale, a controversial Japanese book and film where teenage contestants are placed on a remote island and wear explosive neck collars that will detonate if they try to escape. Like The Hunger Games, the contests are to the death and monitored by the government. While outwardly we as readers or viewers may be repulsed by some of these extrapolations, one has to admit they cater to our morbid curious nature. This goes back to ancient history with the lethal gladiator games. These works point out that their violent games serve a greater good in keeping order and maintaining the peace. And with the popularity of today’s violent sports-that seem to be growing increasingly violent, maybe some of these future sports aren’t as implausible as we care to admit.